Working with Merrimu is different, find your career home with us. Our staff are valuable members of our team, with opportunities to progress into coaching, mentoring and facilitation. We are currently seeking dedicated and enthusiastic people to join our team by providing quality in-home support to people with disabilities. Various hours, days and locations are becoming available. Come along and have a look at Merrimu’s Melton Hub, have a chat to our staff, look around and enjoy some refreshments. 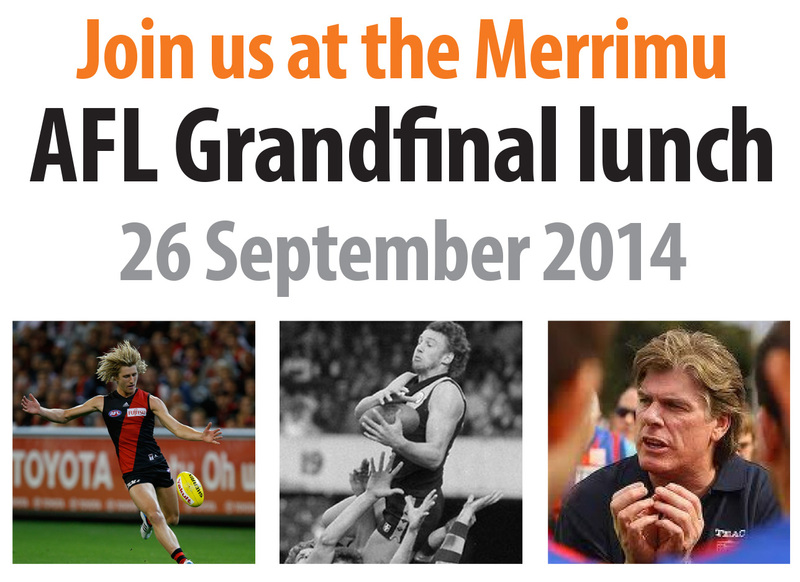 Join us at the Merrimu AFL Grand Final Lunch! Merrimu, along with ICP Educational Institute (part of The A4e Group of Companies) are pleased and excited to offer two Certificate IV Disability courses in Ballarat, commencing on Monday 8 and Tuesday 16 September 2014. For enquiries you can contact ICP on (03) 5333 6160 or visit www.icp.edu.au.